These excerpts were found within the diaries of DC's sister, among some cinders and next to a pair of Pyrovision Goggles. So there my sister DC was, sitting around in her chair, mumbling about hats and projectiles and typing away some kind of nonsense. She's been at it for nearly a year now, a year of me waking up in the middle of the night sometimes when she screams for a doctor or just madly cries out to no one in particular. I have reason to believe that her participation in Team Fortress 2 has caused her to morph into this angry rage monster, but I honestly have no one to blame but myself. I was the one who introduced her to that game many moons ago, when my own friends invited me to play with them. I've since moved on from that phase, and have enjoyed (and finished) many other video games that my sister has long been wanting to move to her "done" list. 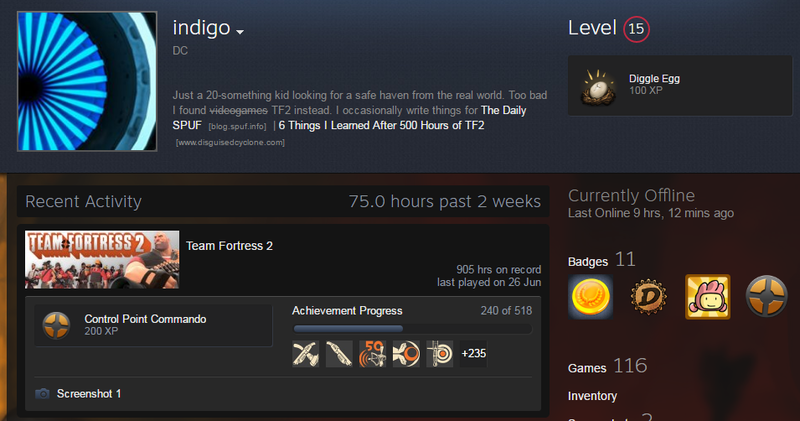 A list she has yet to touch really, since all she seems to do nowadays is spend her free time away in that game she fondly calls TF2. DC will get around to playing all those 116 games someday. Well, it being summer and having completed many activities desirable to have been completed during the break, such as staying on top of my to-watch anime list, finishing the video games I've left untouched since school started, watching the latest Game of Thrones episode, reading the dusty unread books on my shelf, etc., I realized that I suddenly had an unhealthy lack of things to do. Since my sister had taken the habit of bumming around in my parents' house for the summer instead of staying at her place (for family, she says, when we all know she was just after the air conditioning at my parents'), I decided to ask her what's she's been up to. She looked up at me in a tired kind of way, but with eyes full of determination. "Hats... Ubersaw... 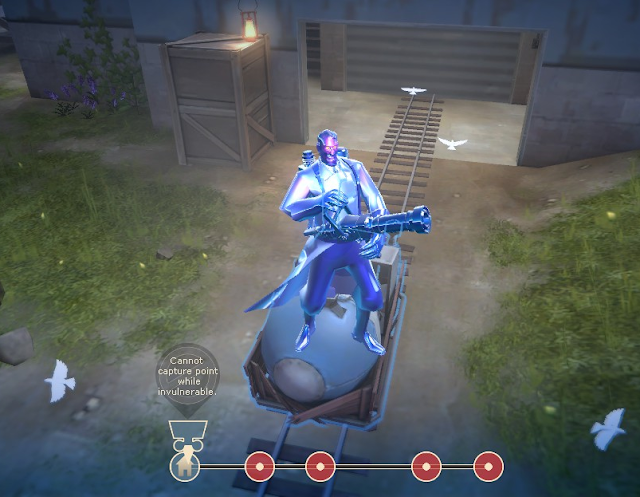 MEDIC!... TF2...", came the raspy voiced reply, before quickly nodding her head back at the screen. I took a quick look at her computer, which had traces of soda spills and a dusting of sugar. 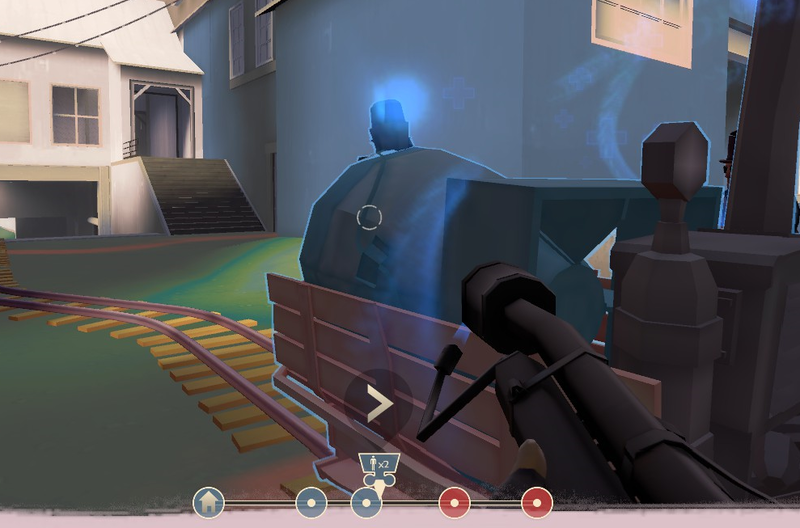 She was, indeed, playing TF2, and a look at the payload cart on the screen made me reminisce the times I spent in Teufort's wars. I suddenly had an inkling to delve into that game again, and promptly told her so. She didn't seem to hear at first, what with her screeching, "You wasted my Uber! Dammit!" But after a second or two, what I said seemed to register to her, and she looked at me with a quizzical look on her face. She then beamed at me with a smile so big and hugged me with a hug so enveloping that I was almost terrified at the proposition I just made. In motions surprisingly unslothlike, as I assumed she would have been after all her hours playing on the computer, she readied my own PC, made sure that my copy of Team Fortress 2 was updated, and checked whether the game was running fine. She then beckoned me to sit next to her, as she smiled almost maniacally at me. There was no backing out now. I pressed "Play". I soon entered the map my sister chose for us, and I was glad to see that not much has changed. The classes seemed the same to me, as were the objectives. "I always love a good payload map, and I think this will be good to break you in again into TF2", she said to me as I watched her jump around as a Medic in the resupply room. "Any class you want to go for right now?" I considered it for a bit, while looking through the characters in the class selection screen. "Hmm, I remember getting a ton of kills as a Pyro before, so I'll choose that class for this game", I finally replied, as I looked over my Pyro, which I had apparently dressed with a cool-looking black top hat and some goggles. As I had an extra slot for cosmetics, I clicked it and saw that I could wear a badge too. I did so, and beamed proudly as I had all three slots filled. "I've got three things on", I declared happily, admiring the little ghost on my hat. "Do you have these too?" She stopped jumping for a bit and looked carefully at my Pyro, which started meleeing her with a giant lollipop. For some reason, she laughed heartily. "You look so cool, mate. And I do have those. Let's be Pyro twins with the same outfits and kill people at the same time. I'll even use the Lollichop with you. We'll be Lollichop buddies." 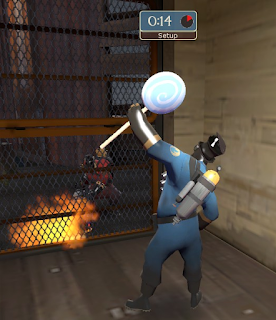 So she brought out a Pyro that looked just like mine, and started hitting me with a lollipop, too. Lollichop, lollichop, oh lolli lolli lolli. Her Pyro then stood up straight in front of mine with its right hand up. I cocked my head to a side and was about to ask why she was standing around like that, when she whispered, "Press G". 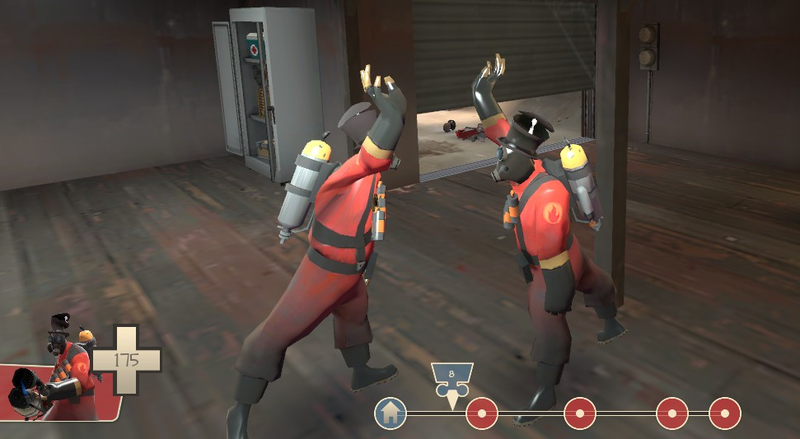 I did so, and marveled as our twin Pyros did a High-Five. "HOLY CRAP THAT WAS AWESO--- WHAT THE HECK I KILLED YOU", I cried, amazed at the simple hand slapping we performed in-game, and dismayed that doing it immediately caused my sister to die. She sounded like she was trying to hold in her laughter. "It's a thing with the taunt. It just happens, especially since I initiated it. But never mind, I just respawned. Press G again, then let's dance going out!" Her Pyro then started doing some kind of weird dance, and moved slowly but aerobically towards the gates. I was still honestly perplexed at the High-Five, and hoped that joining the dance wouldn't kill her, too. Apparently, it didn't, and I danced alongside her towards the outside world, wondering what kind of game I allowed myself to get sucked into again. A hella colorful one, by the looks of it. Disclaimer: The entries may or may not have been written by DC's sister, who may or may not exactly keep dairies. Photos from DC's well-curated archive. Here's Part 2.